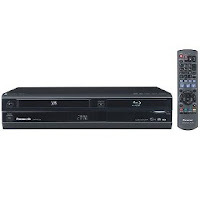 Today only, you can get a Panasonic Blu-ray Disc/VHS Multimedia Player for only $139.99 shipped (qualifies for free super saver shipping). This is a savings of 65% off the original price. And yep – I saw it is a VHS player. Which, actually, is good for me as we still have a few old movies that I haven’t purchased on Blu-ray yet, so now we can still enjoy them!